Discover our History, Explore the Workshops. 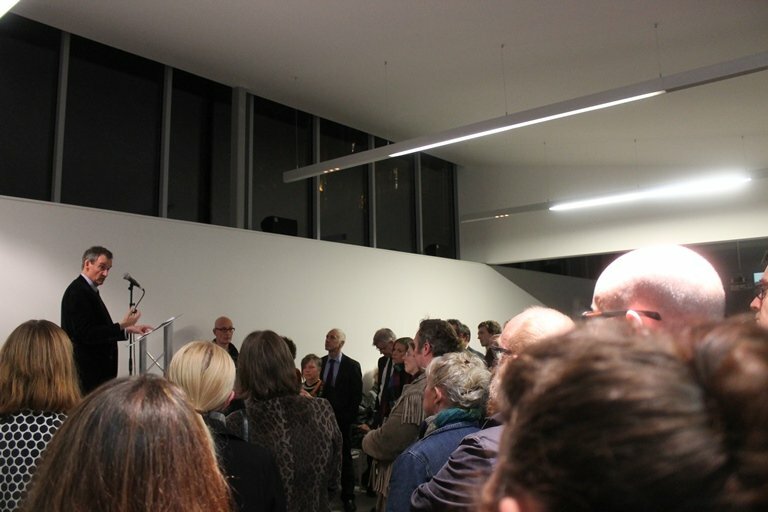 Having been housed in a draughty old railway shed for many years, in 2003 we began a capital campaign for a new building designed to meet the needs of contemporary practitioners which would provide an accessible and welcoming venue promoting interaction between artists and audiences. With funding secured from Creative Scotland for 72% of the £3.6M costs and a land gift from the City of Edinburgh Council, we brought in the remaining funds over a five year period. 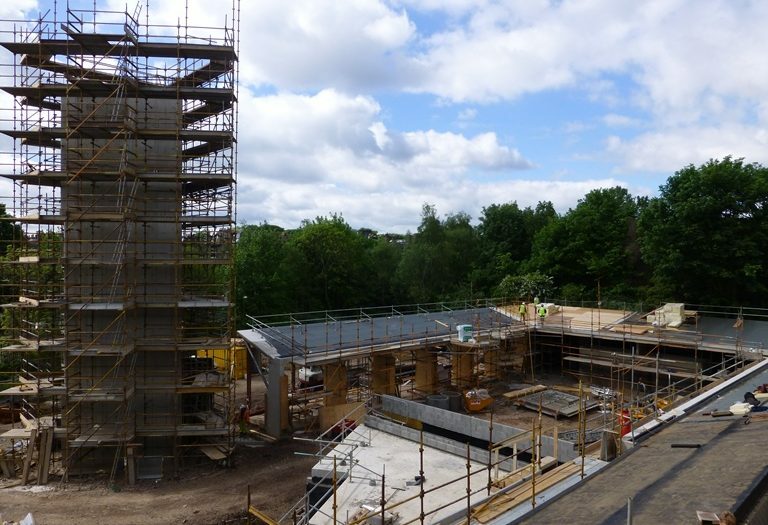 The Bill Scott Sculpture Centre was opened in June 2012 by Fiona Hyslop MSP, Cabinet Secretary for Culture and External Affairs. Named after our inspirational Chair, Professor Bill Scott, whose vision and energy drove the capital campaign the Sculpture Centre has been designed by Sutherland Hussey Harris Architects to provide a professional working environment for artists. In 2009 while we were finishing the first capital campaign, an incredibly generous opportunity was launched for proposals for a new cultural building which would benefit the city. Run as an open competition, the Arts Funding Prize for Edinburgh was funded by anonymous donors and administered by Foundation Scotland, and attracted applications from 13 arts organisations at the initial stage. A shortlist of three organisations was selected by the judging panel – Izi Metzstein, Lord William Prosser, Sir Charles McKean and Colin Liddell. 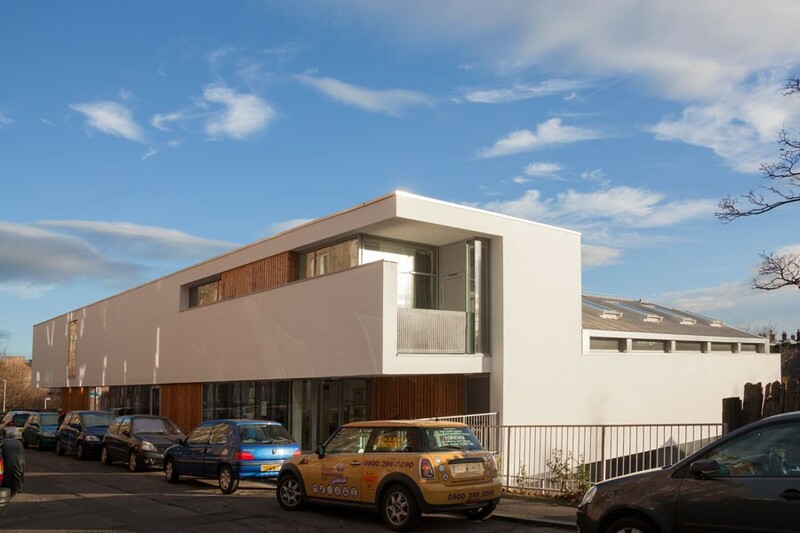 After twelve months of design development and public consultation which led to the development of a building we called the Creative Laboratories, Edinburgh Sculpture Workshop was awarded the £3M prize in October 2010. We were fortunate to be able to continue working with our design team on this project – Sutherland Hussey Harris Architects, David Narro Associates, Aecom, Rankin Fraser and Thomson Bethune. The Creative Laboratories was opened in November 2014 by Richard Calvocoressi CBE. Edinburgh Sculpture Workshop is founded by a dedicated group of artists within the Federation of Scottish Sculptors, and was constituted in 1987. With £398 funding from Edinburgh District Council and the Scottish Arts Council the group begins consultation to identify the needs of artists and arts organisations and sets about searching for a building. Those who helped to form the founding principles of Edinburgh Sculpture Workshop include Mary Bourne, Alison Simpson, Lyndsay Howieson, Hamish Weir, Mike Dunning, Kenny Munro, Gordon Munro, Emma Mackenzie, Alison Jackson, Lucy Baird. Edinburgh Sculpture Workshop leases 78 Albion Road in Edinburgh from WASPS where we offer professional workshop and studios for artists and pursue our aim of becoming a centre of excellence for sculptural activities within central Scotland. The group who drive this stage of development include Anne Bevan, David Moore, Jim Ritchie, John Hunter, Julie McCran, Jo Kessel, Sue Cross, Bill Scott, William Brotherston, Lesley May Miller and Lucy Brown. From the start the group wanted to ensure that people of all ages and abilities had opportunities to be informed, inspired and challenged by contemporary visual art through high quality courses, workshops and events. The public education programme is launched. 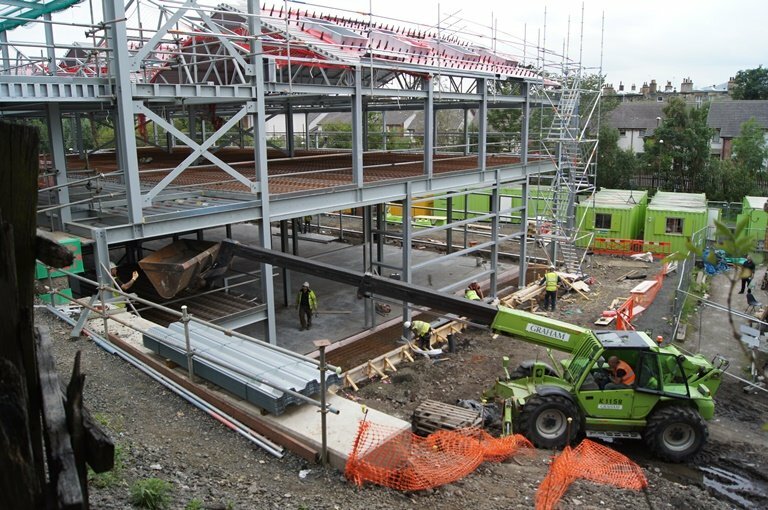 Edinburgh Sculpture Workshop moves to our current site in Newhaven, close to the waterfront. 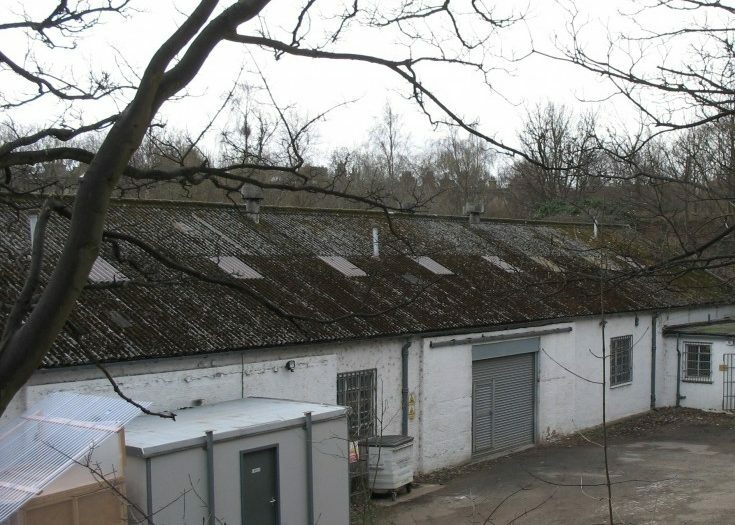 The old workshops before we demolished and built the Bill Scott Sculpture Centre. 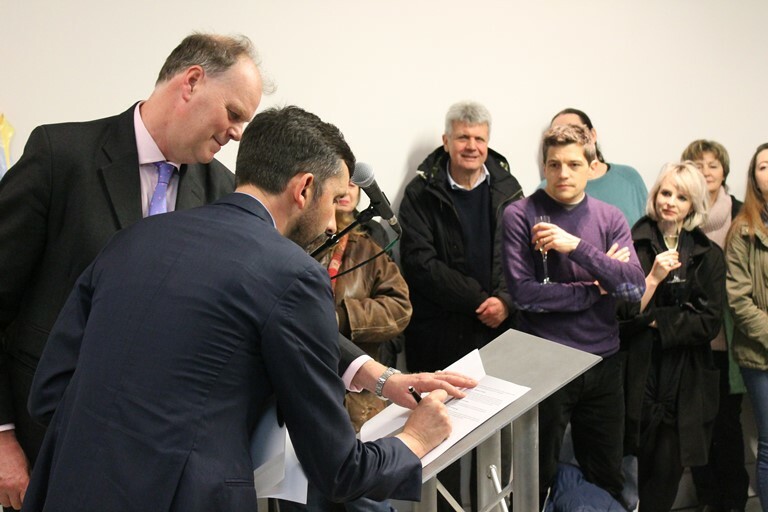 A feasibility study regarding the requirements of future premises is completed and consultation begins with artists, arts organisation and public users began around future development plans. A new management structure is put in place which results in the appointments of Director, Irene Kernan and Assistant Director, Gordon Munro to lead the strategic development of the organisation. Edinburgh Sculpture Workshop secures major backing (£2.3m) for the new Sculpture Centre from the Scottish Arts Council National Lottery Awards. Planning permission for the new Sculpture Centre is granted. Funding from the Esmée Fairbairn Foundation supports the setting up of the professional development programme. Edinburgh Sculpture Workshop is shortlisted for the £3M Arts Funding Prize for Edinburgh to fund the Creative Laboratories project which sits alongside the new Sculpture Centre. 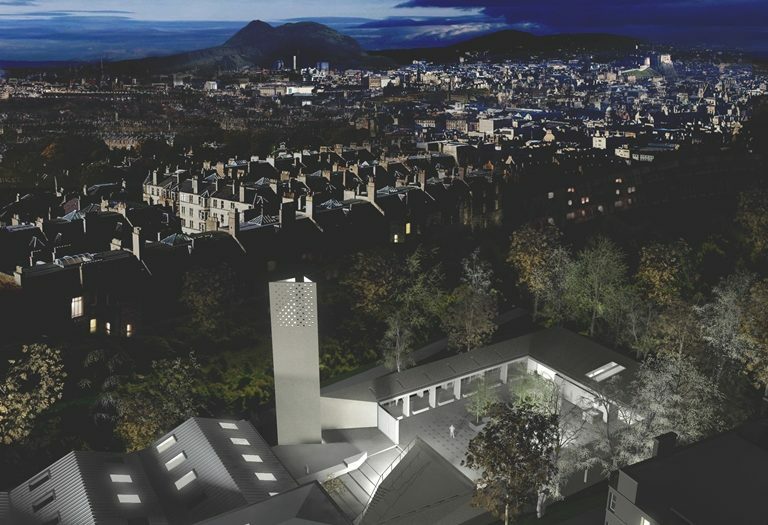 Designs for Sculpture Centre reach RIBA Stage D.
Edinburgh Sculpture Workshop is awarded the Arts Funding Prize for Edinburgh. Construction of The Bill Scott Sculpture Centre begins. The new Bill Scott Sculpture Centre is opened June 2012 by Fiona Hyslop MSP Cabinet Secretary for Culture and External Affairs. Edinburgh Sculpture Workshop begins its schools programme with Victoria and Trinity Primary Schools. New partnerships with Edinburgh College and the Royal Scottish Academy are established. Construction work begins on the Creative Laboratories. 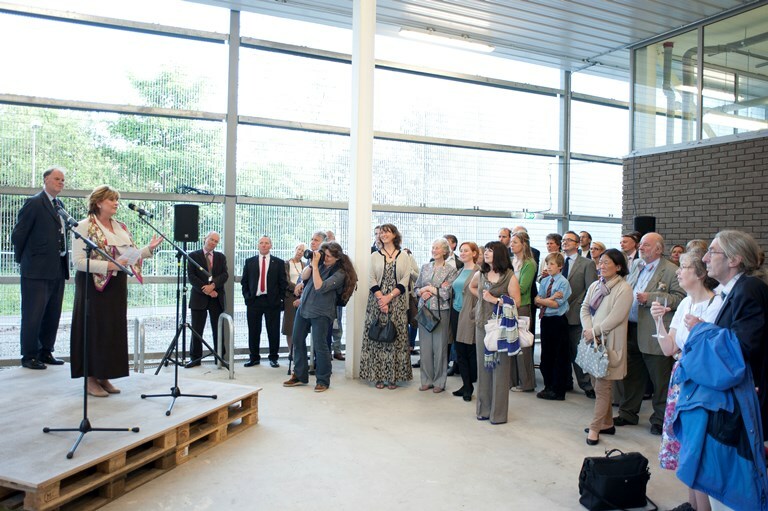 The Creative Laboratories was opened by Richard Calvocoressi CBE, Director of The Henry Moore Foundation. Edinburgh Sculpture Workshop signs an agreement with The University of Edinburgh to formalise the existing partnership and support joint working in future years. 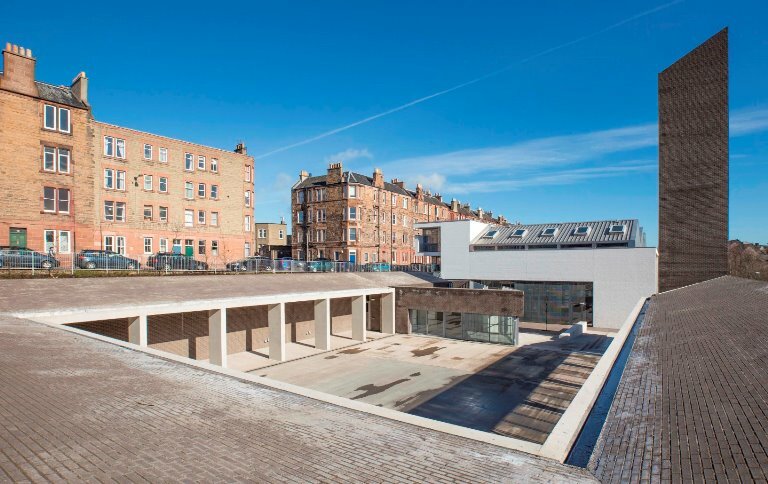 Edinburgh Sculpture Workshop is awarded a Civic Trust Award in recognition of outstanding architecture, planning and design of the built environment.